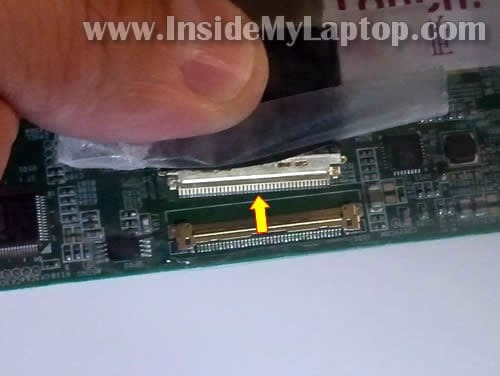 In this guide I’ll be replacing screen on a Gateway NV57H13u laptop. In my case it was cracked badly. This guide might work for some other Gateway models. 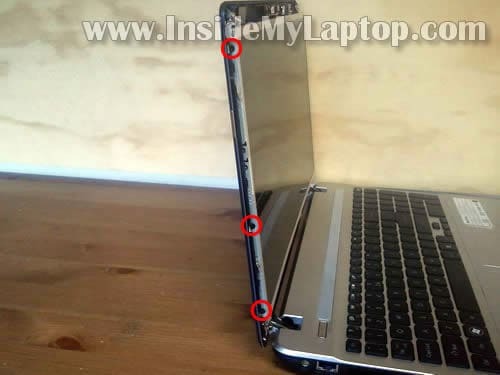 Turn off the computer and remove the battery before you start taking it apart. 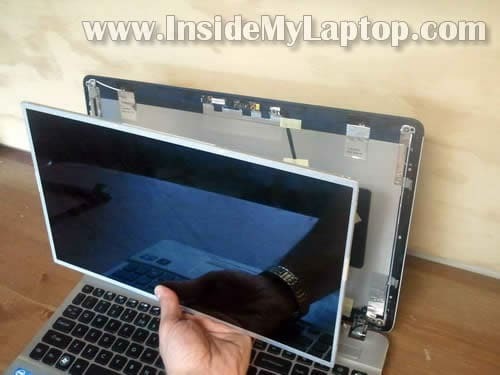 The screen bezel secured to the display cover by two screws located on the bottom of the bezel. Both screws hidden under screw seals. 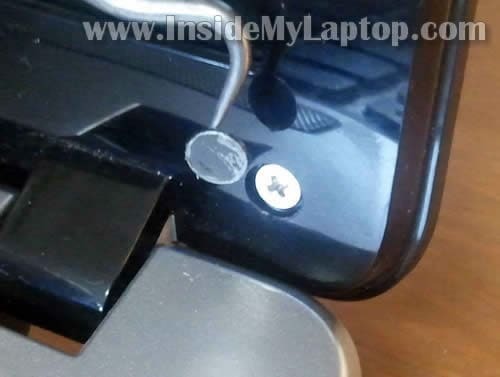 Remove both seals with a sharp tool. Start separating the bezel from the display cover. It’s not very easy because there are many hidden latches securing the bezel. Insert your fingers under the bezel. At the same time insert a piece of soft plastic (you can use a guitar pick) and move it slowly along the side of the display. Wiggle the bezel to disengage hidden latches. When the top side separated form the display, move to the bottom side. 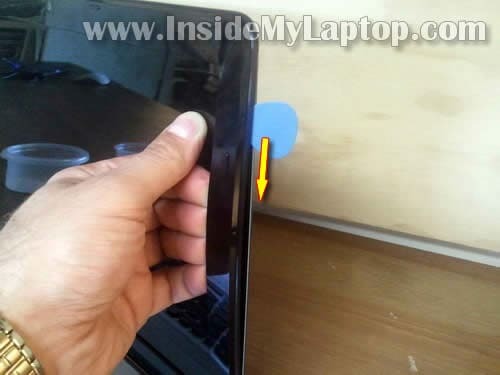 In order to separate the bezel in the hinge area, lift it up with a small screwdriver. 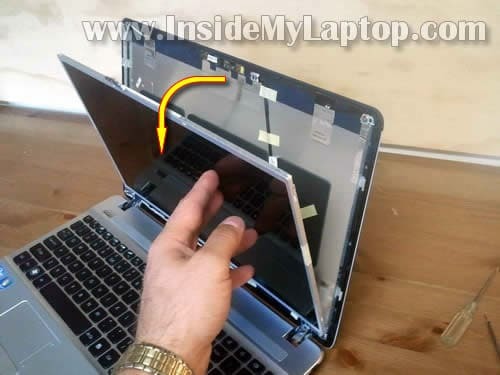 Remove three screws securing the screen on the right side. 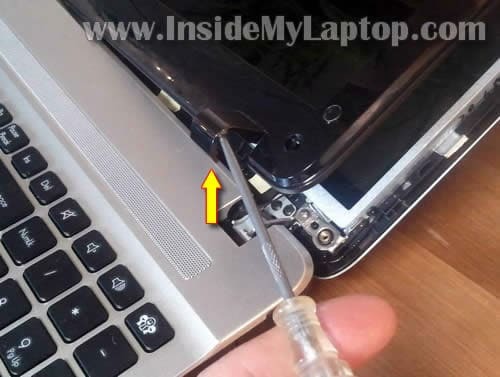 Remove three screws from the left side. 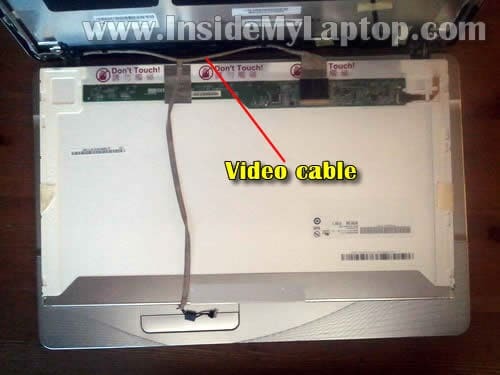 Unplug cable from the webcam module. 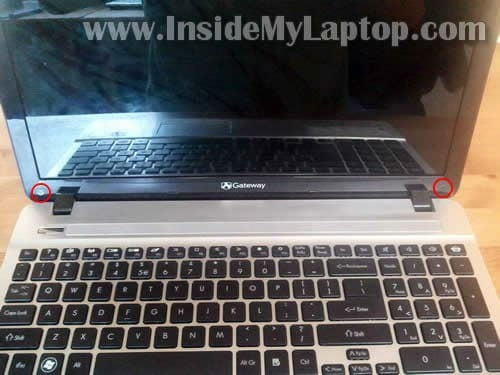 Carefully separate the LCD from the display cover and place it face down on the keyboard. 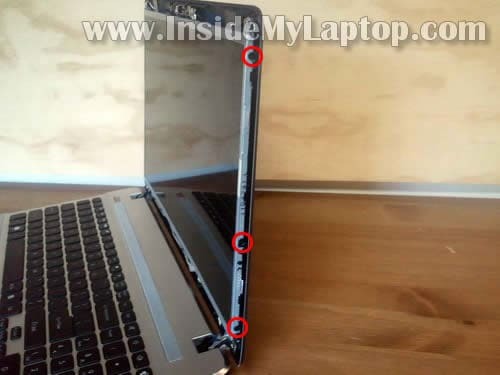 Remove the damaged screen. Now it’s ready for the replacement. You can search for a new replacement LCD using the model number from the original part. In my Gateway NV57H13u the LCD screen had the following model number: B156XW02 v.6. This guide works for the Gateway NV55C03U. I’m not entirely sure if it’s the same screen size, 15.6, but I believe it is and is using the same front bezel. Also, if you know of anywhere that actually has this front bezel in stock, or if you have a spare, email me, it’s entered in the email field. 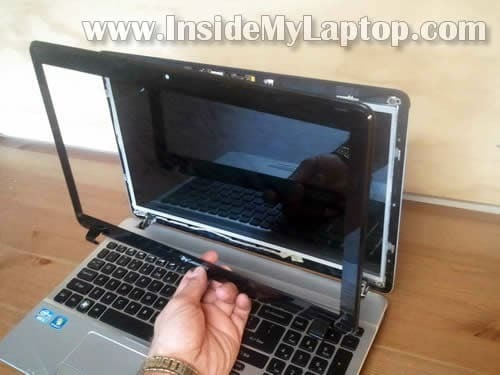 You can find screen bezel for Gateway NV55C notebook on eBay. 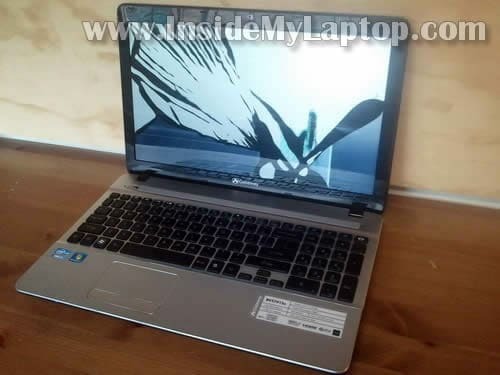 Hi, my laptop is NV57H13U as well. 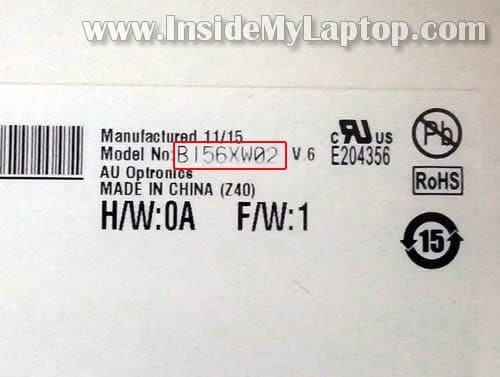 My laptop would have the same model number? Thanks. Maybe it’s similar to this one? My Gateway id59 had something snap to the right of the touchpad, does anyone know what is in that area or where I could find out? What is your problem? The touchpad stopped working? The touchpad button stopped working? Or what? 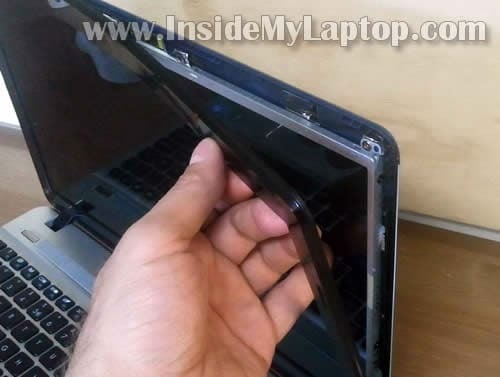 Carefully separate the bezel from the screen on the bottom of the display assembly and look inside. 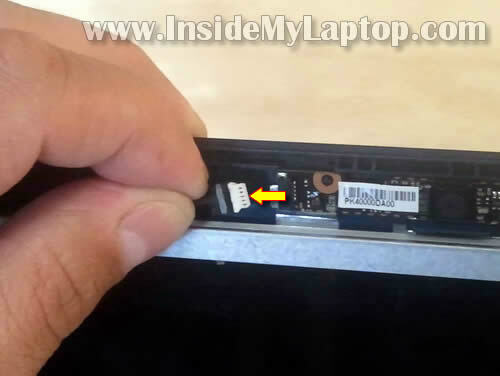 If you have a CCFL LCD installed, you’ll see the inverter board mounted on the bottom part of the display assembly.